Atlanta-based Fresh To Order (f2o), the pioneer of “Fast-Fine” dining, has been recognized as ‘Ones To Watch’ by QSR Magazine, a top restaurant industry trade magazine. The magazine also named the fast-casual restaurant as an honorable mention in its inaugural HALO awards, which recognizes restaurants for healthy menu offerings. “We are so pleased to be recognized by QSR magazine for our successful efforts to serve healthy, fresh and upscale food quickly,” said Pierre Panos, Founder and CEO of Fresh To Order. Atlanta-based Fresh To Order(f2o), the pioneer of “Fast-Fine” dining, has been recognized as ‘Ones To Watch’ by QSR Magazine, a top restaurant industry trade magazine. The magazine also named the fast-casual restaurant as an honorable mention in its inaugural HALO awards, which recognizes restaurants for healthy menu offerings. Fresh To Order was named ‘Ones To Watch’ for its upscale menu items that are made to order for each guest in 10 minutes for around $10. The judges cited Fresh To Order for its emphasis on food presentation and the sleek restaurant atmosphere, which are similar to a fine-dining establishment. The restaurant also received an honorable mention in QSR’s HALO awards, which recognizes its Better For You Burgers. Fresh To Order’s Better For You Burgers are available in three different versions: Tuna Burger, Black Bean Burger and Bison Burger, and feature healthier ingredients than typical beef burgers. Fresh To Order’s extensive menu features high-quality, chef-inspired appetizers, entrees and desserts at affordable prices such as crushed almond crusted tuna steak, brown sugar roasted pork loin with caramelized onion apricot chutney and selection of soups and salads made in-house. Upon ordering, customers can watch as the kitchen crew fire up the grill and cook proteins like chicken, steak and fish to perfection. Salad dressings and soups are prepared from scratch twice-daily in-store. 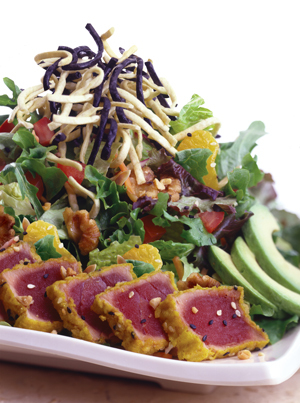 By incorporating seasonal changes and chef-driven creations it gives the chain its unique ability to respond to new food trends and growing consumer demands for healthy meals that are made-to-order and fresh. In addition, Fresh To Order is a member of the National Restaurant Association’s Kids LiveWell program, designed to help parents make the healthful choice the easy choice for their children when dining out. Fresh To Oder, which began franchising in 2010, has franchising opportunities throughout the South, Mid-Atlantic and Midwest states. For franchising information, visit http://www.f2ofranchise.com/. Founded in 2006, Fresh To Order (f2o), the pioneer of the innovative, "fast-fine" restaurant segment, combines the quality of food found in casual fine dining with the operating platform and price point of fast casual. With a mission to serve "Incredible Food" in under 10 minutes for around $10, f2o serves a menu of recognizable favorites with a flavorful twist, such as chef-inspired entrees, Panini sandwiches, soups and Perfect Bite Salads© . Quickly becoming one of the industry's most admired food concepts, Fresh To Order was recently named a Hot Concept! 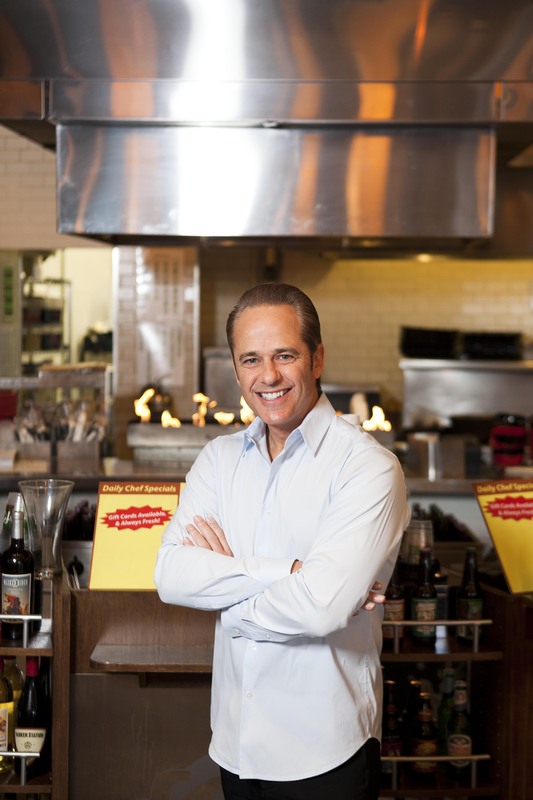 and a Top 50 Breakout Brand by Nation’s Restaurant News, and selected as among QSR Magazine’s Best Franchise Deals. For up-to-the-minute information join us on Facebook http://www.facebook.com/fresh2order, or visit freshtoorder.com and http://www.f2ofranchise.com.